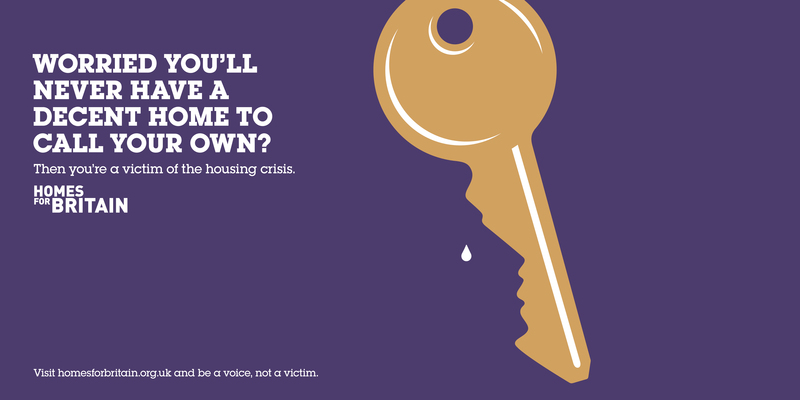 Campaigning organisation Homes for Britain have launched a new phase of posters which aim to get normal people to realise that they are victims of the housing crisis in order to incite a sense of injustice about the issue. 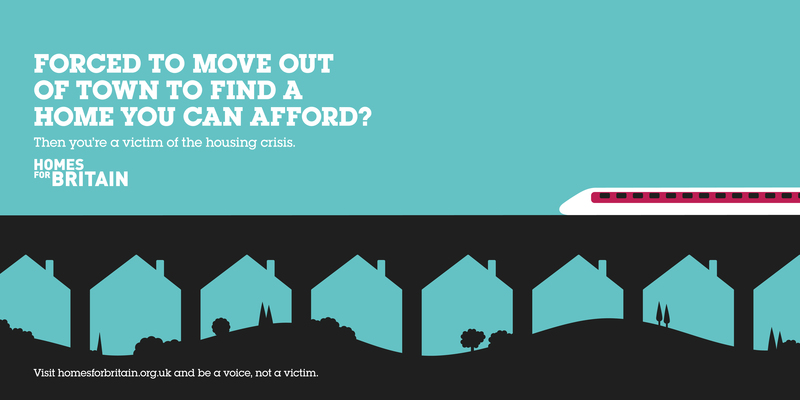 Most people agree that there is a housing crisis, but due to the British ‘stiff upper lip’ attitude, no one actually thinks they themselves are a victim of it. If people don’t think they’re impacted personally by an issue, they don’t tend to care much about it. 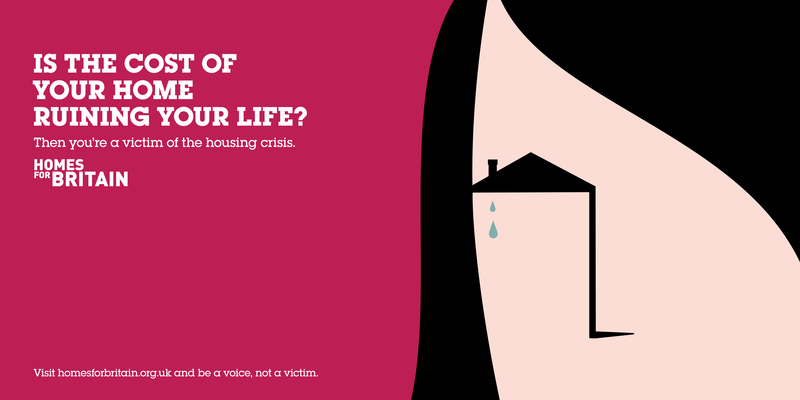 These posters, by highlighting symptoms that they might relate to, will reduce apathy and engage the public on the policy on a personal level, which in turn will make them much likely to take part in a campaign to end the injustice. 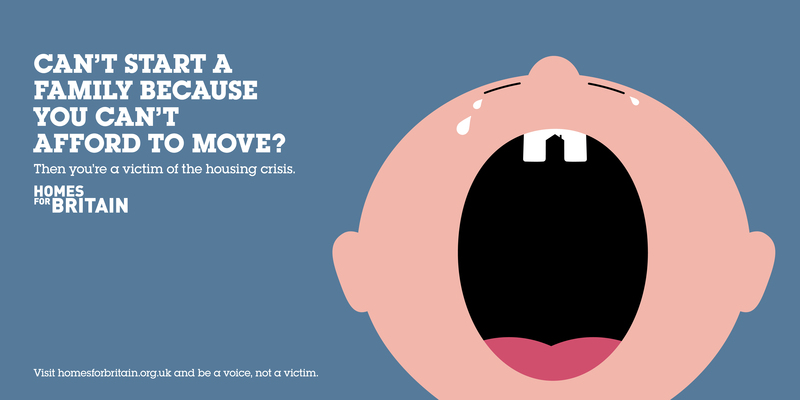 FULL DISCLOSURE: I’m involved in this campaign and as such am highly susceptible to trolling on the posters.